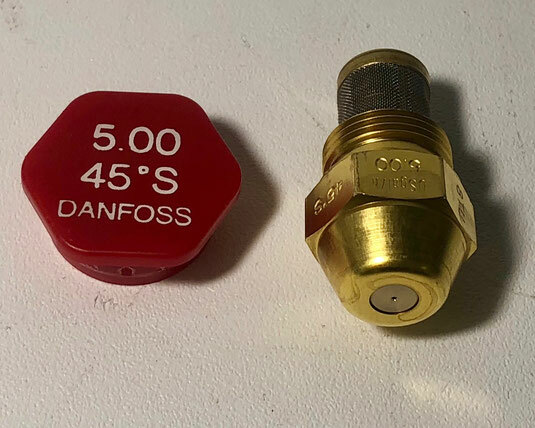 If you would like to receive an offer for a Danfoss oil nozzle or another item, then please email directly at sales@shipspares.nl or use the "REQUEST A QUOTATION" - FORM. 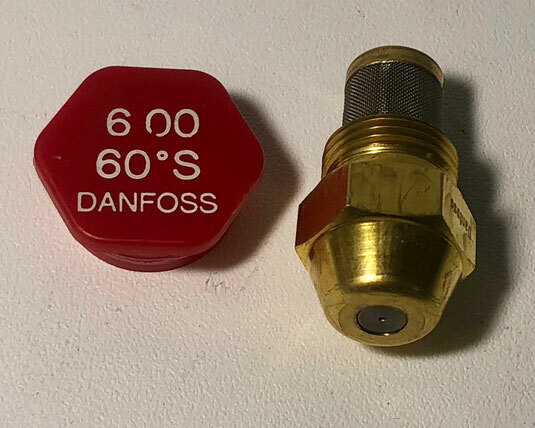 The Danfoss oil nozzle S Series. The oil nozzles from the S series have a solid, full cone spray pattern. The nozzles from this spray pattern type can be ordered in various spray angles and reference capacities. The correct oil nozzle is chosen based on the capacity of the boiler, the output of the boiler and the size of the boiler. When it is unclear what type of nozzle is best for your system, then our expert team can advise you. 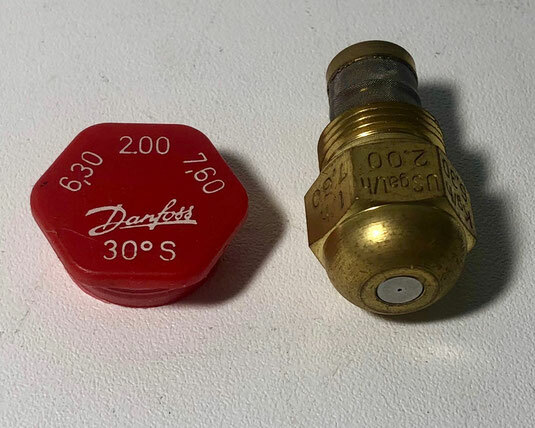 If you are currently working with Monarch, Hago, Steinen or other oil nozzles, it is possible to change to Danfoss. In that case our team can advise you which type of nozzle would be best for you system. 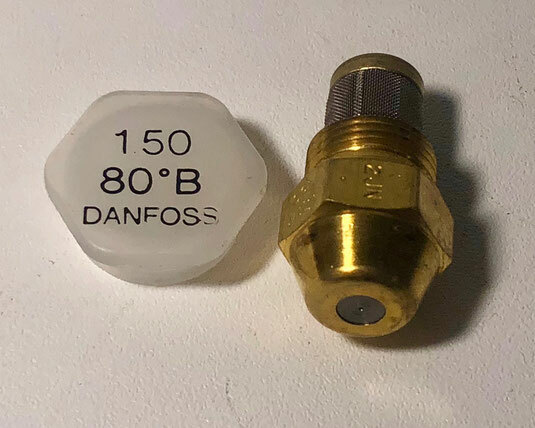 The Danfoss oil nozzle B series. 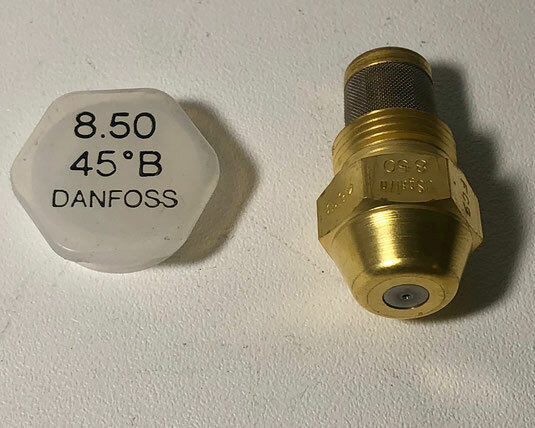 The Danfoss oil nozzles that are in the B series have a semi-solid spray pattern. 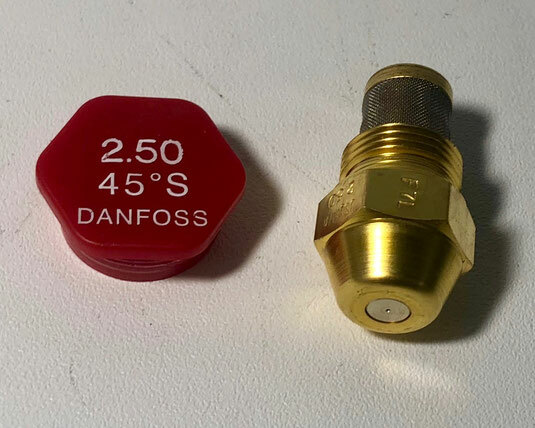 This type of oil nozzles comes in various reference capacities and spray angles. 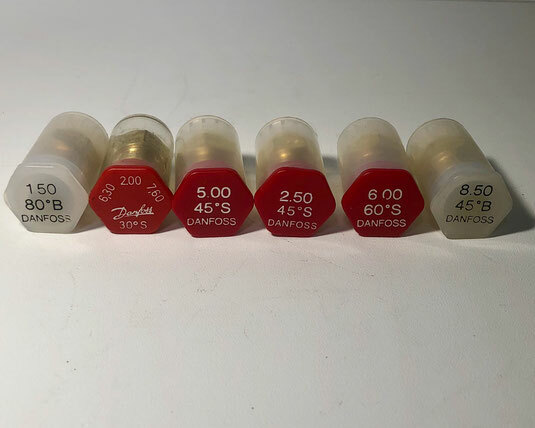 Due to the extensiveness of the Danfoss oil nozzle range, it is almost always possible to exchange different branded nozzles with a Danfoss nozzle.